The West Melton Kindergarten, Nursery and Learning Centre is a home away from home for our children. It is situated in the heart of West Melton directly opposite West Melton Primary School. 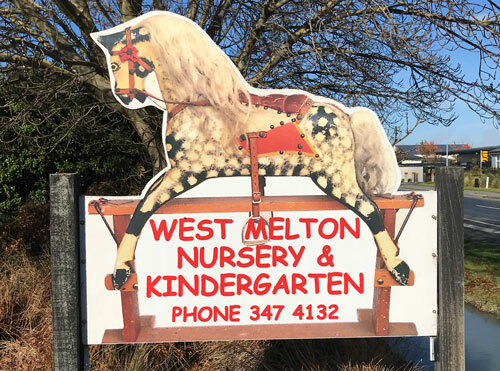 It is a locally owned and established Early Childhood Centre and has been part of the West Melton community since 2002 being the original Early Childhood Centre in West Melton. Our childcare centre caters for children aged 0 to 6 years and is a purpose built centre separated into four different learning areas. We have a large, spacious outdoor area where children have the space to play and explore. Our outdoor areas are a focal point of our centre providing our children with large sandpits, a bike track, playgrounds, cubby houses, obstacle courses, trampoline, climbing frames and more. We also have gardens and vegetable gardens where children learn about sustainability by growing their own plants and food. Pets live in both the Kindergarten and the Learning Centre which are part of our ‘Centre family’. Our dedicated teaching team create an environment that empowers our children to get involved, have a go, play, learn and have fun! We give children the opportunity to extend on their own interests and to challenge and enjoy themselves while they learn. Together with parents and whanau, we equip our children to become independent learners for life by practicing and modelling the values of independence, responsibility, curiosity, respect and perseverance through positive play/planned activities and an empowered to learning approach. We cater for children attending either mornings, afternoons, full days and full weeks. There are no set session times throughout the day, it needs to work in with family lifestyles! 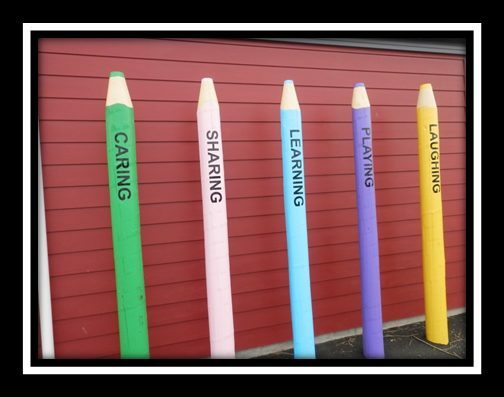 Our vision is to provide a stimulating, safe, nurturing, learning environment for all children and their whanau that accommodates and embraces biculturalism and diversity. We work in partnership with parents and whanau where children are supported to develop the knowledge, skills and attitudes that will enable them to become lifelong learners. We take pride in helping children to prepare for their future learning pathways wherever they may lead. We seek to provide tamariki with a welcoming homely environment where their individual routines and needs are respected and catered for. A close attachment with their Primary Caregiver (key teacher) is encouraged. Partnership with parents and whanau is integral to the life of our centre and we actively look for opportunities to work alongside parents to achieve the best for their child /children. 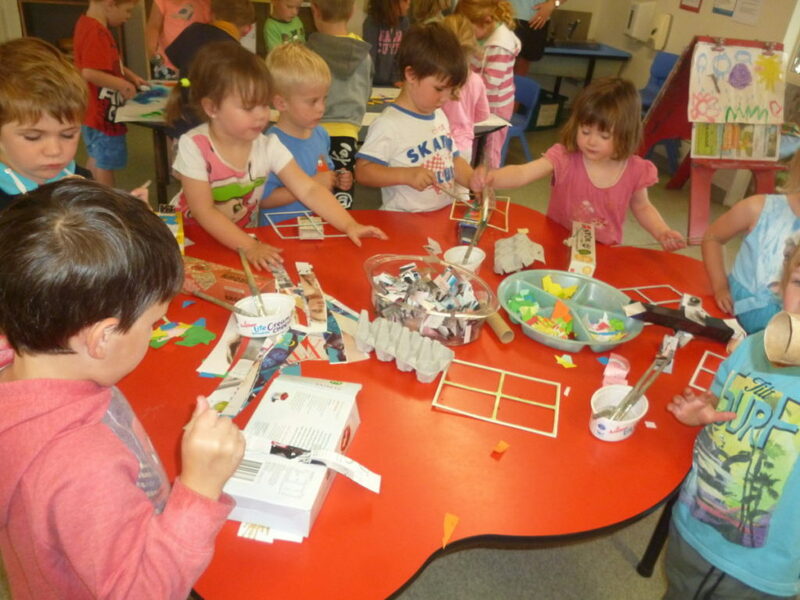 The centre provides three separate age appropriate environments which enable us to meet tamariki’s differing learning and developmental stages in a flexible manner that respects their particular individual learning needs. All environments provide tamariki with stimulating and challenging experiences that will support them to become confident and competent learners, well prepared for their next learning pathway. We focus on noticing children’s interests and planning to extend their learning in these areas. We value and acknowledge the cultural diversity that our tamariki and whanau bring to our centre and endeavour to incorporate this into our everyday practice. A well-resourced environment along with qualified kaiako (teachers) ensures tamariki have access to a rich library of learning experiences. We believe the large space in our outdoor environment provides opportunities for tamariki to extend their physical capabilities, explore the natural world and still allow for quiet areas of play. Strong links with the local school ensure that tamariki transition from one education sector to another as smoothly as possible. We aim to prepare tamariki for their future learning pathways well prepared for their next step in life.